A year ago, I shared a post of my favorite Kid-Friendly recipes and it quickly became one of my most popular posts here on A Mom’s Impression. I completely understand why, an electric pressure cooker has changed the way I have meal planned and made healthy, delicious meals fesible during the busy work week. I know my family will love these recipes so it makes dinner time so much less stressful. Kid Friendly Instant Pot meals can be hard to come by, so here is a second collection that I know your family is going to enjoy! If you looking for some lunchbox friendly Instant Pot recipes be sure to check out our favorites! Don’t have an Instant Pot? Don’t wait any longer, be sure to get yours now! I am so glad the popularity of an Insant Pot for family dinners is spreading! There are so many kid friendly Instant Pot recipes the you can make to make your meals so much easier. There are many resources available to help plan family meals. I am currently enjoying this cookbook where each recipe requires 5 ingredients or less! 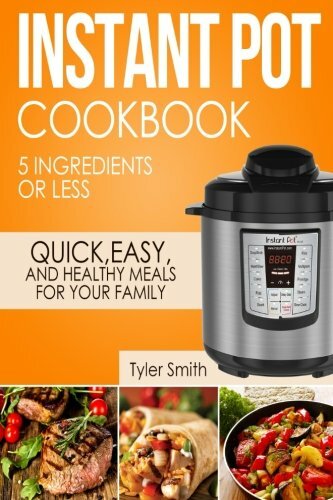 It has been a great addition to my Instant Pot cookbook collection. Be sure to check it out! Here is my new collection of kid friendly Instant Pot recipes to help with meal planning! 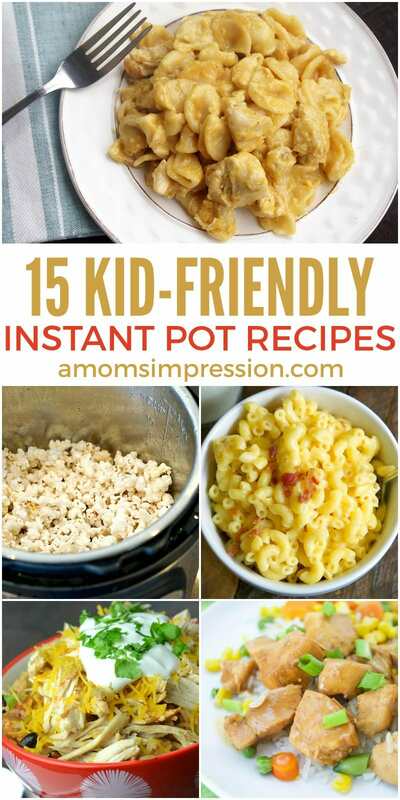 If you liked these these Kid-Friendly Instant Pot recipes be sure to visit our other Instapot recipe collections. For more specific diets check out these Paleo Instapot recipes, my collection of 18 Delicious Instant Pot Dinner Ideas and our Instant Pot Lunch Ideas. If you are looking for some great Vegetarian and Vegan dishes be sure to check out our favorite Vegetarian Instant Pot Recipes and Vegan Instant Pot Recipes. 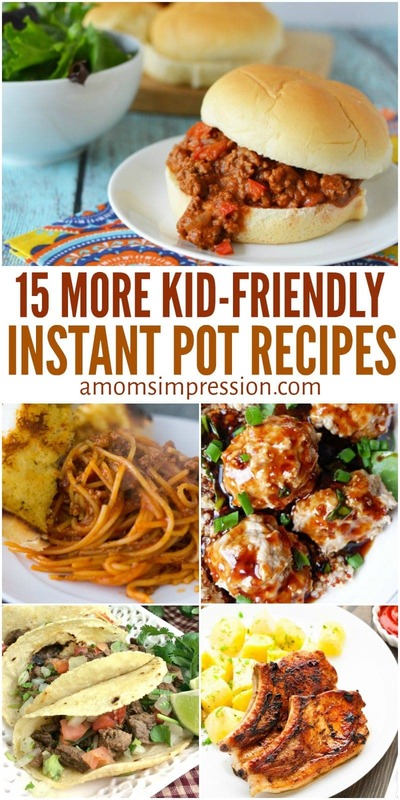 Click the picture below to check out our first collection of Kid-Friendly Instant Pot recipes! « The 2017 Best Buy Holiday Toy Catalog is Here!